In the beginning, there was season one. And season one was with form and without void; and Morgan Freeman starred in it and was also an executive producer. And the ratings were better than expected, making it National Geographic Channel’s most-watched series over its six-episode season. And so Nat Geo said, “Let there be season two.” And there was season two. 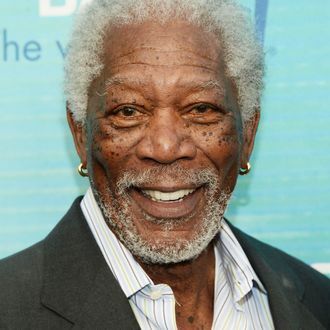 Season two of the “event series” will continue Morgan Freeman’s grand quest to understand God (and himself, though those two might not be separate) with topics such as “Is there a Chosen One?” and whether it’s possible to find proof of a single deity. The three additional episodes will premiere in early 2017. And, lo, they will be good.